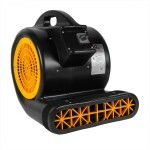 AirMovers.com large volume purchasing and working closely with many top air mover manufacturers allows us to bring you "HUGE SAVINGS" and deep discounts on all air movers and flood restoration equipment. We offer a wide range of water cleanup equipment backed by professional service. Most items are in stock and ready to ship.